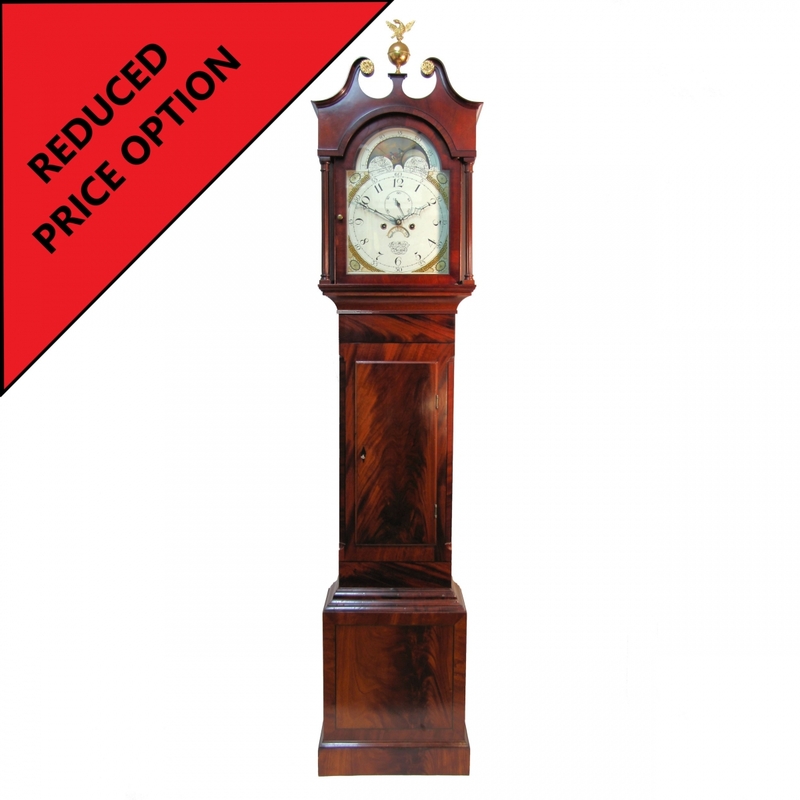 Mahogany eight day longcase clock by John Warry of Bristol. Circa 1815. 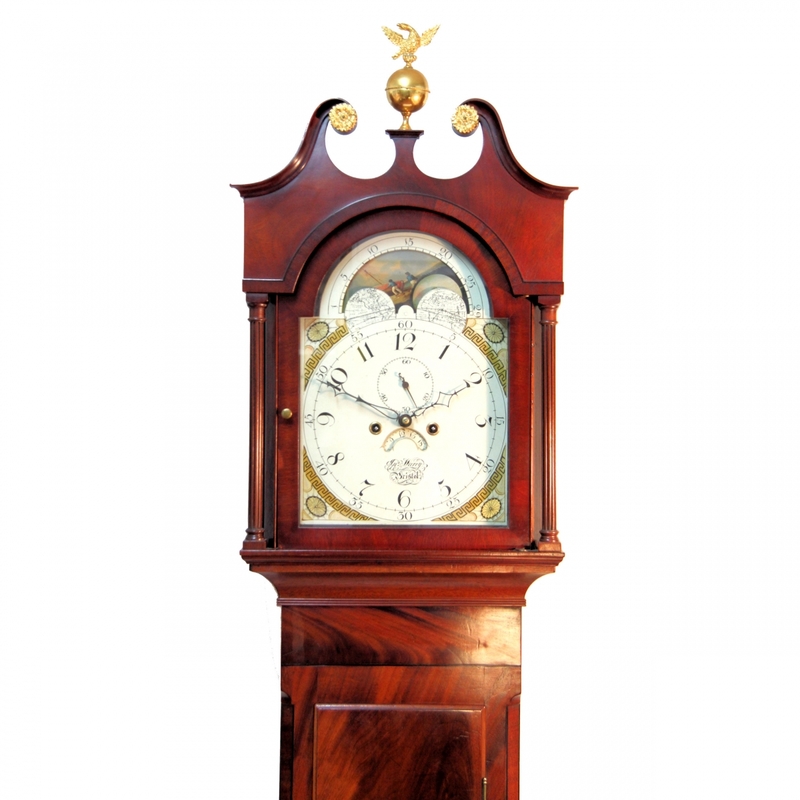 An exceptional looking longcase clock by a prolific Bristol maker and in excellent condition. 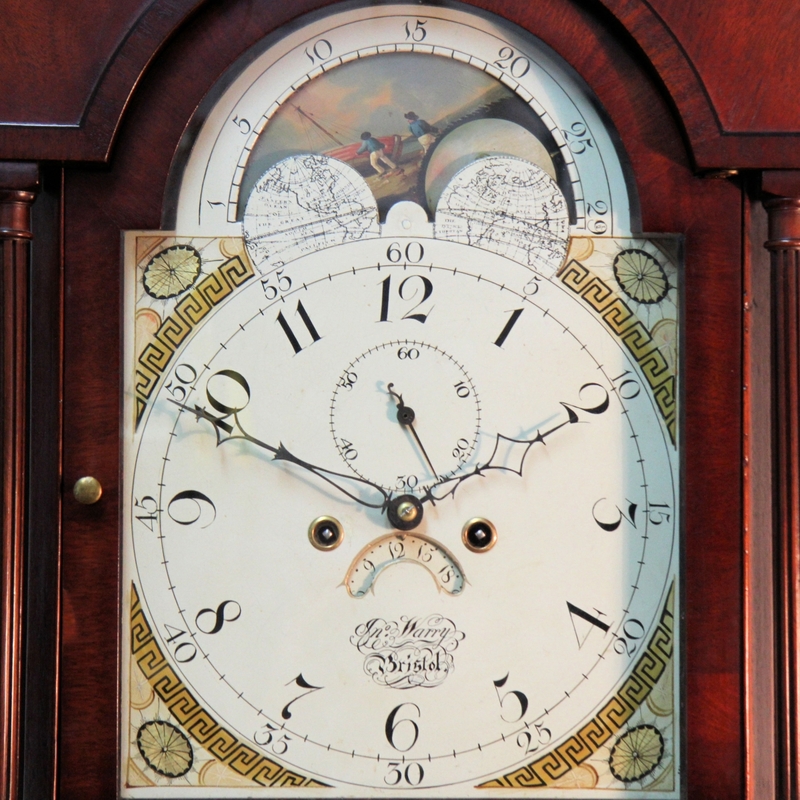 The eight day duration, four pillar movement with Anchor Recoil escapement and rack striking the hours on a bell. Having a break-arch, twelve inch, painted iron dial with automatic phases-of-the-moon in the arch and depicting the shape of the moon in the night sky and also a country and boat scenes. The moons wax and wain behind two terrestrial globes and the corners are decorated with oval fans and geometrical designs. The centre has a divided minute ring with Arabic outer fives and large inner Arabic hour numerals. The upper portion has a subsidiary seconds dial and the lower bears the maker's name of "Jno. (John) Warry (of) Bristol" in decorative text. The dial also has a drop-mouth calendar aperture and diamond shaped pierced steel hands. 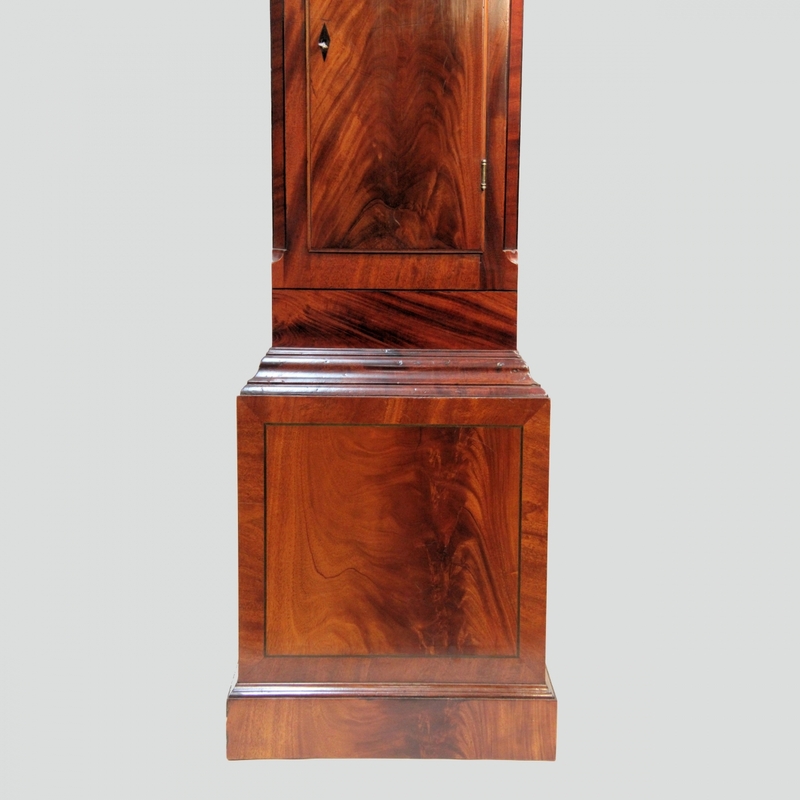 In a very attractive flame mahogany case of good colour and condition. Having a slender swan-necked pediment with gilded paterae and ball & eagle finial, fluted hood pillars and an ebony strung sectioned trunk with canted front corners and square top door. The base also of ebony strung panelled section and terminating in a straight plinth. * The rear of the dial bears a restoration label dated 1993. 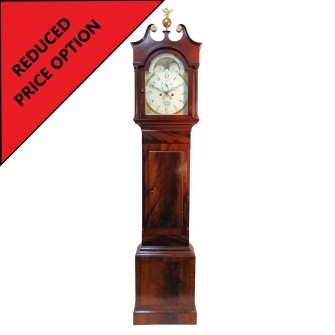 Dimensions: 89" high including finial x 19 1/4" wide x 9 1/4" deep. Condition: Excellent and in full working order. £3,750.00 without the movement overhauled. Contact us for full details.